Now that winter is upon us, for me the silver lining under this grey, wet cloud is winter food- we can all stop pretending to feel fulfilled by salads and badly cooked barbeques and throw ourselves into the huggable arms of casseroles, soups and roasts. Yet, this is also the month when stodge can take to the fore. I hope to guide you, yoda style, through these troublesome winter months and search for alternative sides than the usual potato, potato and yet more potato. First up, introducing: pearl barley. It’s whole-grain rather than that naughty refined grain (e.g white rice), thus it is a excellent source of fibre and contains more vitamins than normal rice. It takes on other flavours well so it’s good thrown into casseroles and soups, and bulks them out so less meat is needed, making it thrifty too. But, it also works well as the centrepiece of a meal. Here, I’ve used it to make a risotto. It is just as goey and comforting as rice, but has a slightly nuttier flavour that goes well with bold, wintry tastes like roasted vegetables or mushrooms. 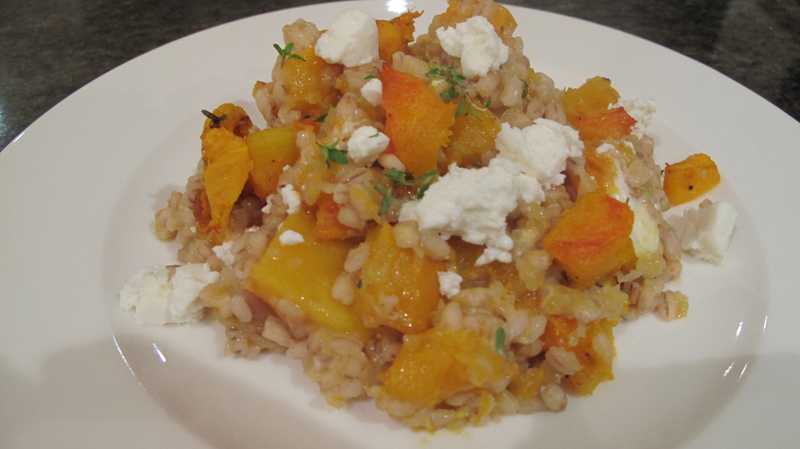 I used pumpkin here, to make the most of it being in season, but butternut squash works just as well. 1. Put your chunks of squash into a roasting tin, scatter on the thyme and garlic cloves- as they are, NOT peeled, and keeping aside a couple of thyme strands for the end. 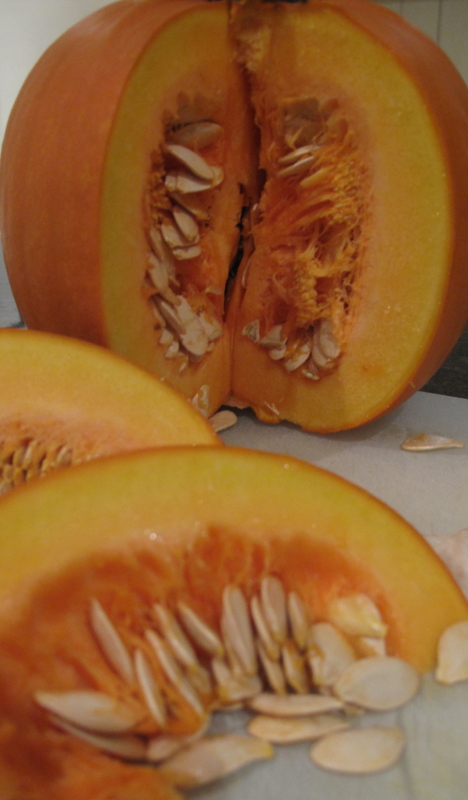 Season with pepper and add a good glug of olive oil, enough to coat the squash. 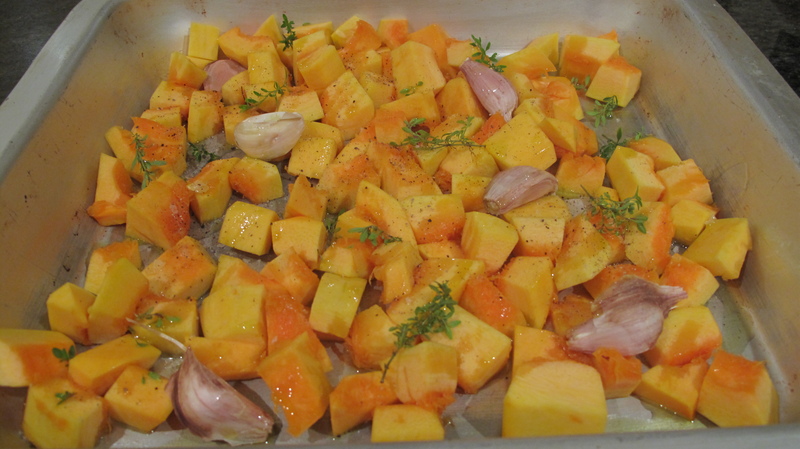 Place in the hot oven for 30-45 mins, until the squash is golden and crisp on the outsides. 2. Once the squash has cooled down, take the garlic cloves and squeeze or peel away the skin- it should peel away easily leaving the sweet, softened centre of garlic. 3. Meanwhile, whilst the squash is roasting, gently fry the onion and celery on a low heat in 2 tbsp of olive oil. 4. When the onion is softened, add the pearl barley, stir to coat it in oil. 5. Turn up the heat, and add the wine. Allow it to bubble for a couple of minutes so that the bitter alcohol cooks off. 6. Now simply add the stock and leave it to simmer away for about 30min. Check on the barley towards the end so that it isn’t overcooked- it wants to be soft, but with a slight bite to it still. 7. Turn the heat right down, and stir in the squash, garlic and thyme. Check the seasoning. 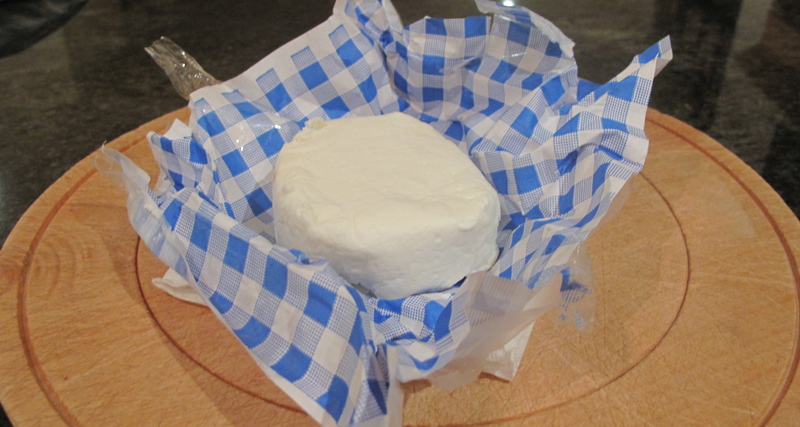 Stir in the goats cheese, reserving a small amount. Serve immediately, with the remaining cheese crumbled and the thyme sprinkled on top. 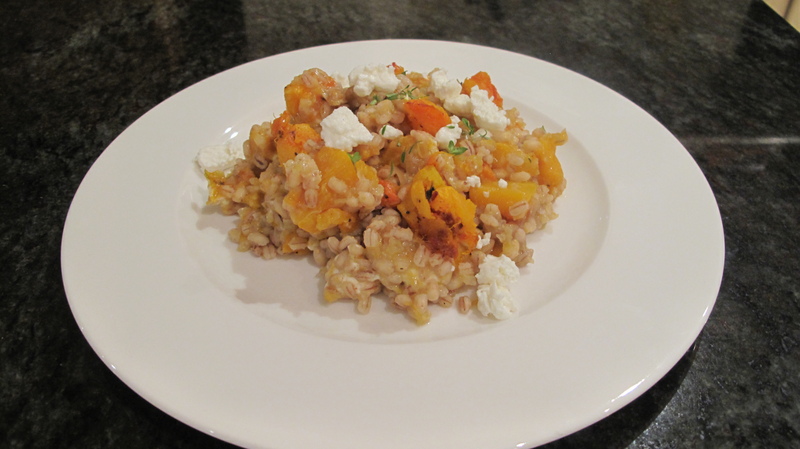 This entry was posted in Healthy, Rice, Pasta, Risotto and tagged butternut squash, cheese, grains. Bookmark the permalink. this looks amazing! I’ll have to make it! Thanks audrey- I love risotto, and it feels very virtuous making a healthy version!